ANU graduate, Grace Huang, finds purpose and passion through an Evidence-Based Management MBA. 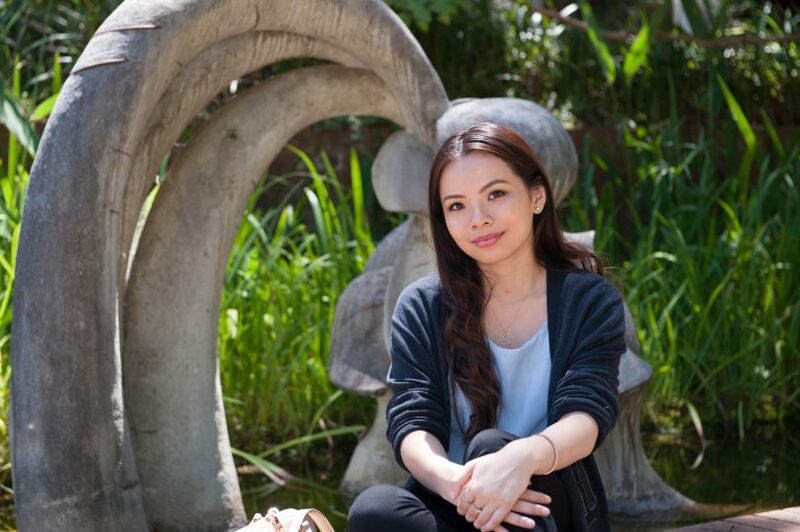 A love of learning and a motivation to grow her career were behind Canberra-based public service professional Grace Huang’s decision to undertake an Evidence-Based Management Master of Business Administration (MBA) at the Australian National University (ANU). Graduating in December 2017, Grace says the MBA equipped her with a wide set of transferable skills, as well as specialist knowledge in Project Management and an invaluable, diverse network. “I chose an MBA at the ANU specifically as it’s an internationally recognised postgraduate degree that I can take with me into a diverse range of industries, areas of work, and even countries. I found the MBA to be a good mix of theoretical and practical knowledge and have already been able to apply what I learned in the workplace. Grace moved into the Australian Public Service in 2015, initially working with ComSuper in a Senior Assessor role, before moving to the Department of Agriculture and Water Resources where she is currently working as a Project Coordinator. She was able to work full-time and manage her studies by taking advantage of the Research School of Management’s MBA night mode classes, which are delivered at the ANU campus between 6 pm – 9 pm on weekdays. Career-wise, Grace has already realised the value of completing an MBA, taking on higher duties in her role with the Department of Agriculture and Water Resources since graduating in December. She says the knowledge she gained in her studies has helped in advancing her career. “Currently I am developing a national information system for aviation stakeholders to contribute to effective risk management in biosecurity risk in Australia. I am very excited about this, as well as other projects going on in my workplace. “The knowledge I’ve gained having completed an MBA at the ANU will assist me most in my leadership and management-related skills. These last few years, I have had so many opportunities for networking, public speaking, and involvement in the community that I would not otherwise have had. “I was able to network and engage with the broader university community through the ANU College of Business and Economics Student Ambassador Program, representing the ANU at various public events. Most importantly, Grace found her purpose and passion through the MBA program to pursue a career that will contribute to the community in some way. In the long-term, Grace plans to stay open to opportunities she may come across, aspiring to work in animal welfare, food policy and higher education. Noting that her degree ‘is particularly transferable,’ she intends to apply her new evidence-based management knowledge and skills to all areas of work, and holds an interest in returning to university in the future. Have you completed a postgraduate study to further your career, and did it help you advance your career? I undertook postgraduate law studies to completely change my career. I stopped working and studied full-time. It was hard but sixteen years later I can look back and say it was worth it. Life in law can be difficult but I have skills for life and I come in and out of practice as I choose. To anyone thinking of taking up postgraduate study I say go for it!